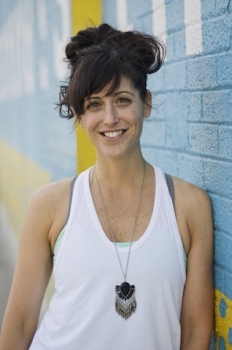 Vanessa Montenegro is a yoga teacher and natural health educator who started her yoga journey in 2004 and is always looking for ways to keep moving and live fully in the beautiful city of Toronto. Vanessa's classes are designed to journey inwards, breathe deep and awake our inner wisdom resulting in more ease, vitality and empowered health. Each time we come to the mat it is a new opportunity to be in discovery, to play, and be open to what each asana is offering. Weaving therapeutic essential oils throughout each practice is a powerful way to activate the nervous system, support the physical body and drop into each moment through the senses. Outside of yoga class, Vanessa travels to teach essential oil workshops at studios, corporate events and wellness centres. Her core focus is to make a huge impact on global wellness, increase accessibility to natural alternatives, elevate livelihoods around the world through co-impact sourcing and continue to fuel a movement toward empowered health. Do you love yoga? Essential oils? Would you love to bring them together? Or perhaps you already combine them but always reach for the same oil each class: are you curious about expanding your repertoire? In this co-taught workshop, we will weave essential oils throughout the yoga practice to elevate your awareness, deepen your experience, and create empowered health on and off the mat. Inspired by the rhythm and relationship of our INHALE to energize and our EXHALE to release, this 2-hour workshop will combine specific essential oils and yoga flows with hands-on adjustments. You will begin with a mini-education on connecting each essential oil to your intention to deepen your understanding of the synergy between oils and yoga. Students will experience how essential oils complement a yoga practice, affect emotions, support physical release, and weave together conscious and subconscious.